Bloxwich Library saved amid drastic Council cuts | The Bloxwich Telegraph – incorporating The Bloxidge Tallygraph and Walsall North News. Founded 2006. Walsall Council has announced that Bloxwich Library is one of six libraries to have been saved from possible closure in a dramatic press briefing reported on by local news media today. But the news is by no means all good, as hundreds of jobs are still set to be axed and nine libraries (at Beechdale, Blakenall, New Invention, Pelsall, Pleck, Pheasey, Rushall, South Walsall and Walsall Wood) will shut under budget proposals announced by the local authority. Council tax will also rise by 4.99%, as the local Labour-Lib Dem coalition is pressured by massive budget cuts enforced by national government. The New Art Gallery at Walsall, which was potentially under the threat of eventual closure, also seems set to be secured as the council looks to develop a new business model for it, and according to various reports Wolverhampton University has shown an interest in partnership working. According to the BBC, a £3.5m funding bid to Arts Council England and other stakeholders has been submitted to develop a new business model for the New Art Gallery. The council has apparently mooted selling off naming rights to the gallery, but Council leader Sean Coughlan has insisted it would not be “the McDonald’s Art Gallery”. Walsall Leather Museum is also expected to remain where it is, but Walsall Local History Centre will be moved from Essex Street into the Walsall Central Library building, requiring external document storage elsewhere. Detailed plans have not yet been announced. Aldridge, Bloxwich, Brownhills, Darlaston and Willenhall libraries have all been saved, while Streetly library will be community run. 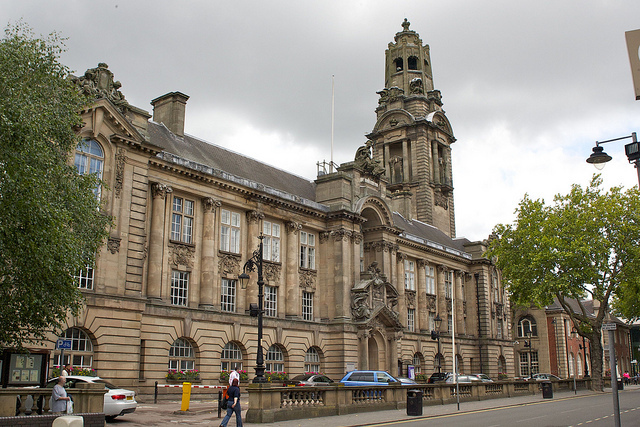 Walsall Council, which late last year engaged in a public consultation about the drastic “savings’ it had identified must be made, has said it must save £86m by 2020. 281 jobs are set to go, either through voluntary or compulsory redundancy, another 139 vacant posts will be not be filled. Meanwhile, remaining Walsall Council staff will face another year-long pay freeze. Cllr Coughlan is reported by the BBC website to have said that libraries faced “one of the most profound and stark cuts”. “Every political side knew we had to do something about libraries and that’s what we have had to do,” he said. Council tax for Band D properties will rise to £1,744.04, including precepts – subject to confirmation of final precepts – up from £1663.29. Originally the rise was to be 3.99 per cent but now central government, which had massively cut the grant to Walsall Council in the first place, has allowed the council to raise their tax by an extra one per cent provided it is ring fenced for social care. According to the Express & Star, the Forest Arts Centre will not be cut in 2017/18 and the council will also to continue to maintain cricket pitches and bowling greens in the borough – something it originally proposed to scrap. Plans to stop cleaning markets after they have closed has also been scrapped, while seven front line posts connected to street cleaning are being reinstated. All these proposals and many more will have to be approved at a full council meeting in February. READ MORE from the Express & Star via this link and also on the BBC website here.